Deborah L. Kagan, Ph.D. specializes in adult psychotherapy, especially for Houston area individuals and seniors. In her psychotherapy and counseling for individuals, she helps to diffuse and relieve depression, anxiety, stress, anger, and grief while enhancing self-esteem. In her psychotherapy and counseling, Dr. Kagan focuses on creating a compassionate and respectful tone. She helps clients be able to safely discuss their frustrations and hurts while identifying and building upon their strengths and resources to better fulfill their dreams. In her psychotherapy or counseling, Dr. Kagan helps her clients more effectively manage their life stresses as they clarify and fulfill their goals. 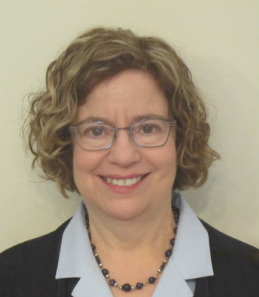 Deborah L. Kagan, Ph.D. has extensive training, knowledge, and experience in conducting psychotherapy or counseling in the Houston, Texas area, especially with individuals and seniors. She has been licensed as a psychologist in Texas for over 20 years after receiving her B.A. from Cornell University and Ph.D. in clinical psychology from Indiana University in 1983. Click on the icons below for other webpages on Deborah Kagan, Ph.D.